Finding trustworthy and reliable plumbing and heating engineers who take pride in the standard of their work and their customer service can seem daunting, but it doesn’t have to be. Our team have compiled a list of the key areas to check so that you can be assured you aren’t being taken for a ride. 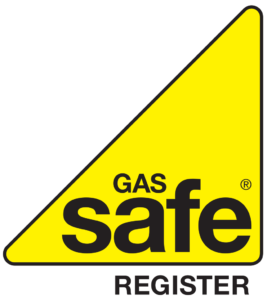 Firstly, any heating engineer working on gas appliances must be Gas Safe registered. This is the law. The Gas Safe register replaced CORGI as the registration body for engineers around 8 years ago. All registered companies will have their own registration number. Heating Homes Gas Safe registration number is 214170. Members of Safe Contractor scheme have to adhere to the very highest standards of Health and Safety practice. This provides total assurance to both domestic and commercial clients that they are in safe hands. 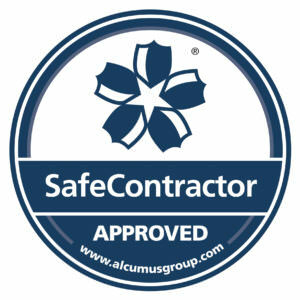 Heating Homes are fully accredited by Safe Contractor. Finding customer reviews for a company is a really good way of checking how others have found their service. A site like Checkatrade uses reviews from verified customers and they must rate the business against a number of important requirements. These include Reliability & Timekeeping, Tidiness, Courtesy and Workmanship as well as checking how well their quote matched their final invoice and if any appointments are missed. See the Heating Homes Checkatrade scores here. Their customer service is superb and very professional across the board. The engineer was exceptionally polite and diligent and very hard working checking frequently with my satisfaction. The quality of work carried out was of a very high standard. In short, if you want a company who are punctual, professional and do what they say they are going to do, choose Heating Homes. The top manufacturers only award accreditation to experts in their field who work to the highest standards. Look out for businesses that have accreditation as this can give an indication of their general expertise and standard of work regardless of your boiler make. Heating Homes are accredited by Worcester Bosch. If you aren’t sure what you need from a plumbing or heating engineer then it is well worth getting impartial information from a reputable source such as Which.co.uk. This site has a wealth of information that can help you learn more about a wide range of subjects including underfloor heating, boilers, bathroom installation and more. A reputable company will also be able to provide you with expert advice and guidance. Heating Homes have a 9.76 score on Checkatrade are fully Gas Safe Registered, Worcester Bosch Accredited and Safe Contractor Approved.